‘And then there were none.’ Alarm has been sounded abroad and in DC, including within the GOP, about the abrupt resignation of James Mattis, one of the original four ‘grown-ups’ in Trump’s cabinet and the last one left standing. His brutally clear resignation letter implicitly accused Trump of betraying allies and failing to recognise the threat posed by enemies like Russia. The concern is that a Trump-clone replacement for Mattis will lead to even wilder foreign policy whims being acted out. The media are talking of it being a ‘watershed’ moment. 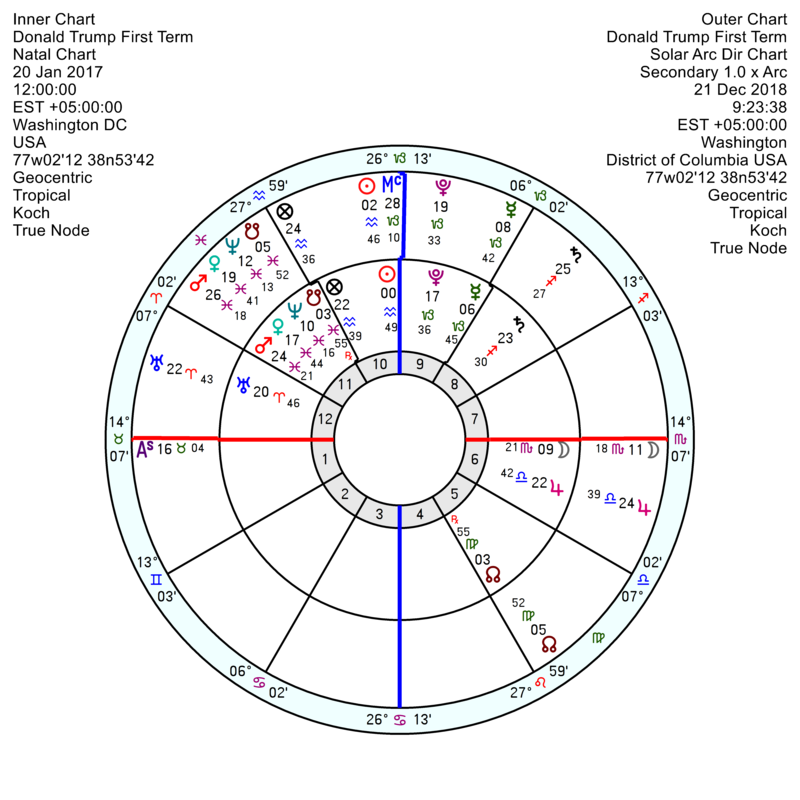 The Trump Administration chart, 20 January 2017 12 noon, Washington, DC, does have a de-stabilising tr Pluto square Uranus exact at the moment till mid January and repeating on and off till late 2019. It has been around earlier this year so isn’t the first major wobble. 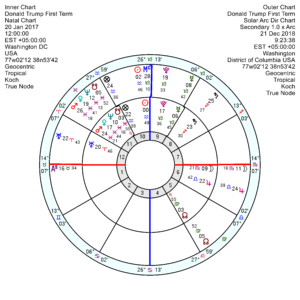 On the Term chart Uranus is tied in to Jupiter by opposition and square a 9th house Pluto – which is a control-freak and chancer’s charter, homing in on foreign affairs and legal arguments. When tr Pluto moves to square the Jupiter from mid February onwards, on and off till late 2020, there are likely to be more outrageous breaches of political etiquette with niceties being tramped across and possible conflicts with regulatory authorities. 2019 will rock n’ roll on with tr Uranus square the Admin Sun in March, followed by an undermining, unpopular, disappointing tr Neptune conjunct Venus in April. Trump’s relationship with both Republican charts isn’t looking great. 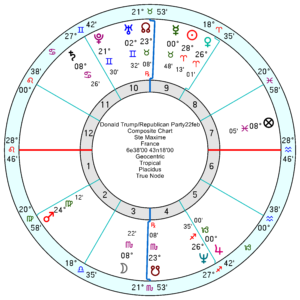 There are huge upsets on the GOP 22 February 1856 one from now till mid-February 2019 with tr Uranus conjunct the composite Sun and more thereafter which suggests splits are becoming more obvious. 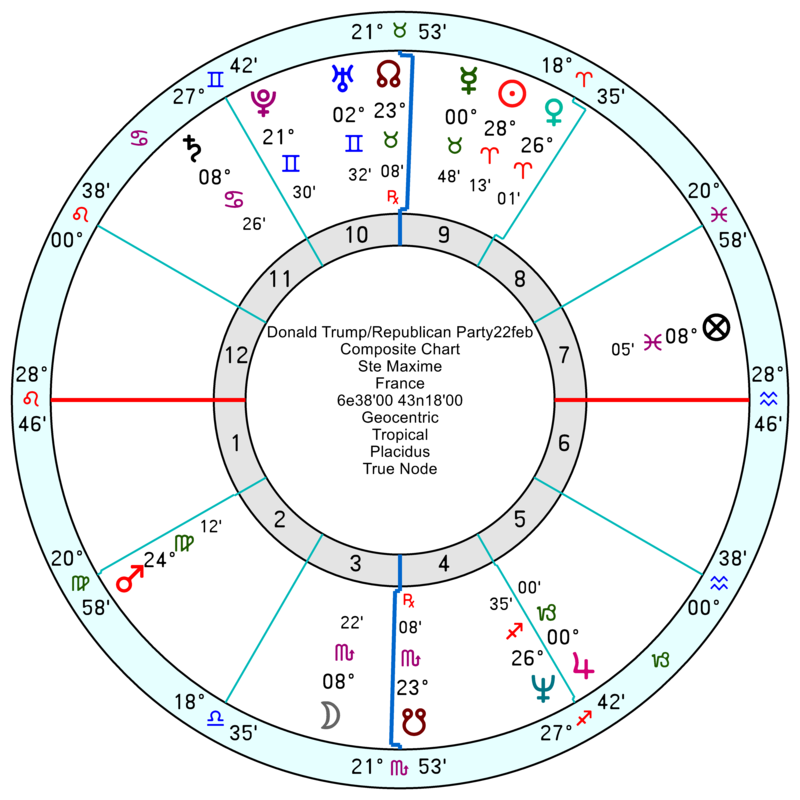 Where the most obvious fall-off-perch moment comes on Trump’s Term chart is late 2019/early 2020 when the Solar Arc Pluto moves to close the square to Uranus to exact; and indeed the square to Jupiter. Before then he’s likely to cross several lines that even die-hard fans will quail at. Though quite what given how much they’ve swallowed to date – most recently ‘shocking illegality’ in the Trump charitable Foundation plus plus plus. I can’t decide whether poor America is more in need of sympathy than totally chaotic UK. Could Rahm Emanuel be running for president in 2020? He seems the one Democrat with the intelligence, political smarts and nastiness to outdo Trump. He is not running for Mayor of Chicago again. Very talented. Until he also leaves. I met and worked with Shanahan while he attempted to ressurect the 787 airplane program at Boeing. It was a Disaster. 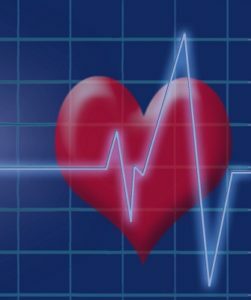 Employees branded him a runaway freight train. Always shouting and threatening. He has changed his mind about going to Florida for the holidays so you can bet more bad is coming. While some Republicans are waking up to the fact he is really bad news, none of them have the guts to do anything about it. US envoy in ISIS fight resigns over Trump’s Syria decision – just hit the presses. If anyone left @ the WH, pls turn off the lights when you leave. Interesting slant on the debacle from Patrick Cockburn who’s normally pretty sound. Cynical and resigned but makes a fair point or two. Now, in further fallout over the pullout from Syria, the US anti-ISIS envoy Brett McGurk has resigned. I think this is an administration in a state of collapse. I think Trump will be gone in 2019. MAGA = Meuller Ain’t Going Away. a halt, and that will destroy his credibility with his core supporters. No, his followers will continue chanting “Lock Her Up” and believe it is all to do with non-GOP groups. Any non-white human entity that is born & raised outside the US of A will be targeted for years by hate groups. Remember, hate speech is free speech. This genie isn’t going back into the bottle. I’m expecting the biggest backlash on Mattis resigning coming from Military. But I think some of the Republican Leadership are also finally waking up to the reality that Trump really can’t be reigned. Do you mean this nut/crook could still be in the Oval Office in 2020? When is this nightmare going to truly end?